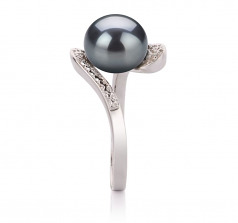 A beautiful work of art, the large Black 9-10mm Freshwater Pearl Ring sets in a .925 Sterling Silver setting. 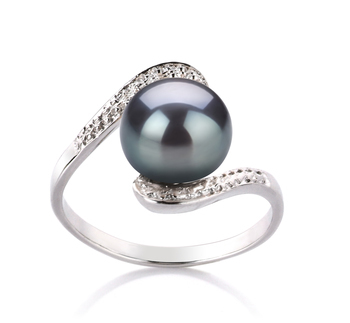 The dyed black pearl is a graceful contrast to the silver ring and offers an elegant appearance. 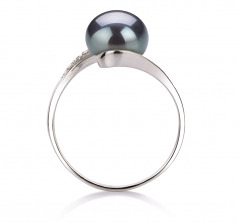 The AAA button shaped pearl is subtly wrapped within the open silver band of the detailed ring. 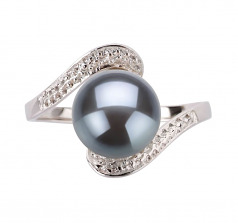 While the mirror like AAA luster emits a sparkling array or gloss over the pearl. 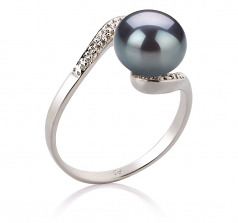 This ring is a true gem to have in your collection of high quality of pearl jewelry.